Daniel Hunt and Stephanie Clark are Amethyst International Escapologists and Illusionists. 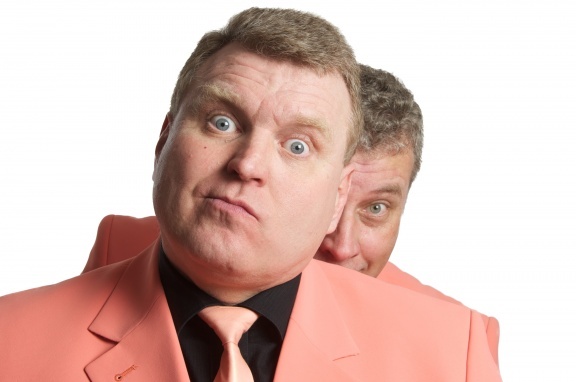 Together they have worked alongside some of the country’s top performers and producers such as Freddie Starr, Ken Dodd, The Chuckle Brothers and The Grumbleweeds. Amethyst have had the honour of performing for the world famous ‘Magic Circle’, the ‘British Magical Society’ and for the ‘IBM’ British Ring, as well as featuring on several occasions at the world’s largest Magic convention held in Blackpool. Amethyst are highly acclaimed as one of the countries most unique and impressive acts of the 21st century, touring the UK and overseas with their spectacular shows. They have performed in some of the most prestigious venues and on some of the largest super liners around the world. The duo have created two completely different shows, their first combines magic and illusion with song and dance. Their second features large scale, death-defying escapes, many of which have been designed for their show in America.